Just because I love to cook, doesn't mean what I cook has to be complicated. 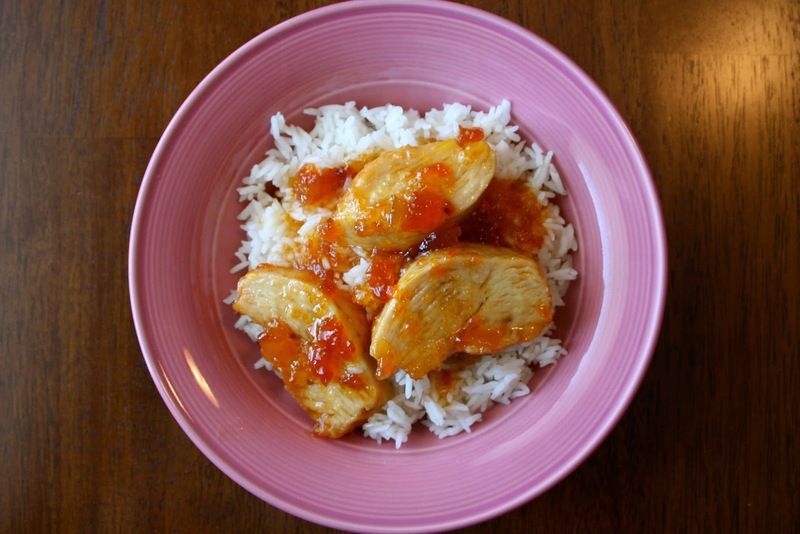 I found this recipe after searching for an easy chicken dinner idea because who doesn't love easy dinners? 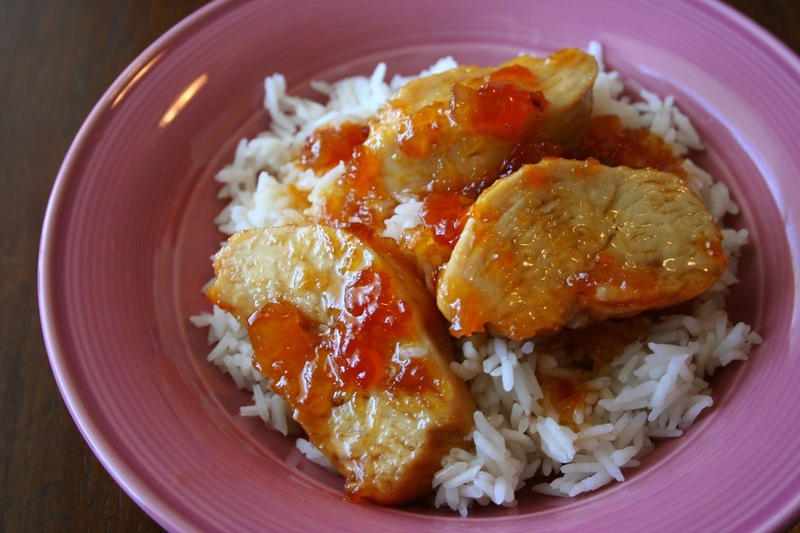 While I'm sure this is a long-time family favorite for some, I had honestly never tried apricot chicken. It sounded easy enough so I had my husband grab some apricot preserves on his way home from work, "made" the apricot sauce and let the oven do the rest. 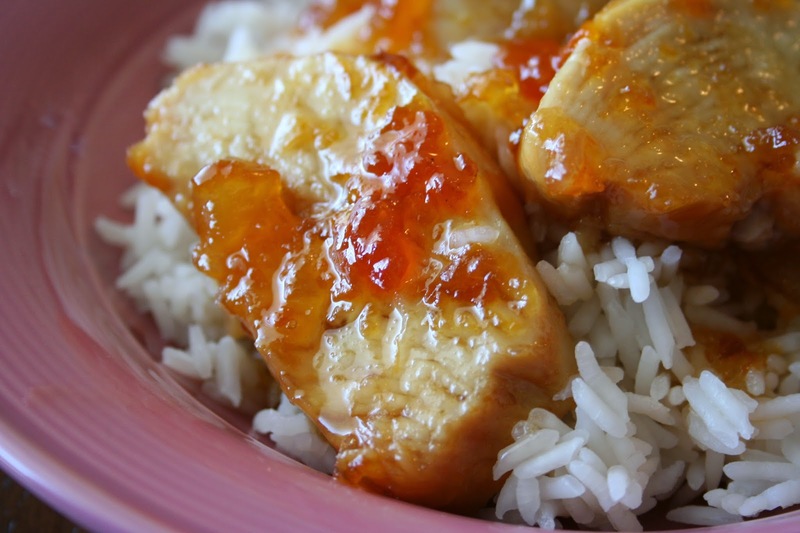 Easy, tangy, sweet and so delicious. 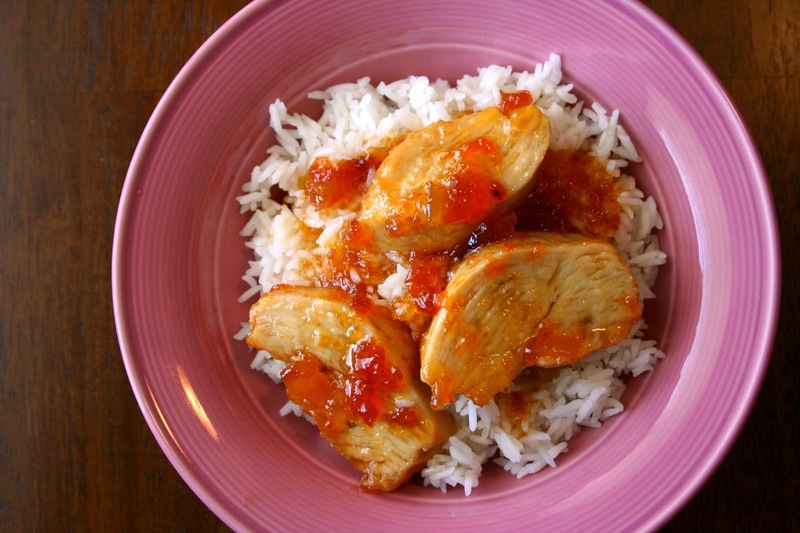 Serve over rice and you've got one of the best no-fuss dinners around. 2. Place the chicken breasts in a 1.5 qt. sized baking dish. Combine the apricot preserves, vinegar and brown sugar. Pour the preserves mixture over the chicken; cover and bake for 45 minutes. Remove cover and bake for 10 more minutes. 3. Slice and serve over rice if desired. Spoon extra sauce over top.